There are many advantages to subscribing through C.M.S. As one of our preferred clients, you have made a wise choice with our magazine plan. This plan combines the best reading materials on the market—magazines that are first-rate—along with our elite customer care. We want you to know about some of the advantages that you will enjoy with this plan. With C.M.S., in some cases you save up to 60% off magazine cover prices. At any given time, C.M.S. 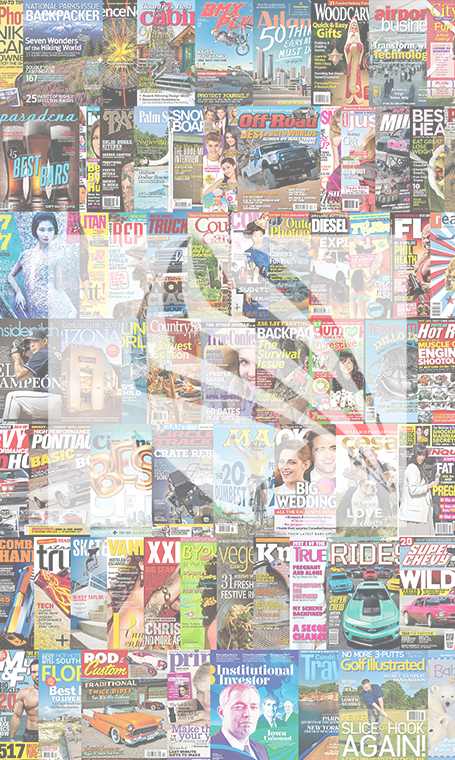 offers over 200 popular magazines with an assortment of choices. We update our selection list quarterly, so be sure to call us for a revised list. Since C.M.S. offers multiple year subscriptions without price increases, your savings will get better and better as time goes on. The newsstand cover price may go up, but your price with C.M.S. is interest free and stays the same for the length of your service. As soon as you know your new address, drop us a line, or call our toll-free number 1.800.423.6712 and we'll do all the necessary paperwork to insure your magazines arrive at your new address shortly after you do. Magazines are truly one of the best values available for today's educated reader. You will find that C.M.S. will satisfy your need for knowledge and entertainment completely and cost effectively. At C.M.S. we realize that your interests may change over time and we're prepared to change with you. That's why we offer our convenient Magazine Exchange Program to all of our clients. It's easy to meet the changing needs of people, like you, who love to read magazines and want to stay on the cutting edge. Simply request a list of current magazines, and then give us a call on our toll-free number, or just send us an e-mail. We will be happy to update your selections.